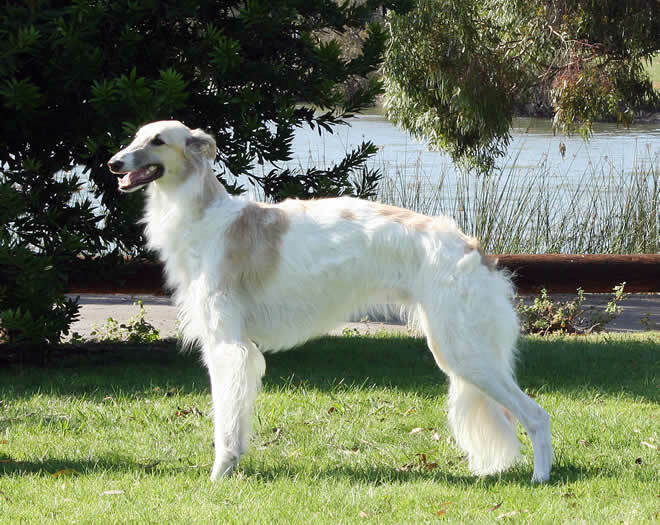 The Garden Roses litter was our first Silken Windhound litter, and they are all unique, beloved Silkens who excel in a variety of venues. Abby lives at Stonewall Farms in Scottsdale, Arizona, with Scott Bailey and David Cains. She loves to run with their beautiful Arabian horses and then come inside to sleep on the bed or couch. Here she is wearing her good pearls. Isis lives here with us at Elessar Hounds. She is silly, sweet, elegant and goofy, and she loves to snuggle and run. Find out more about Isis. Mika is a beautiful, delicate rose who has a great sense of humor. We co-own Mika with Kumbaya Silkens, and she lives in Oakland, CA, with Kent Jones and Jay Cusker. She loves and does not hesitate to demonstrate her love with enthusiastic affection. 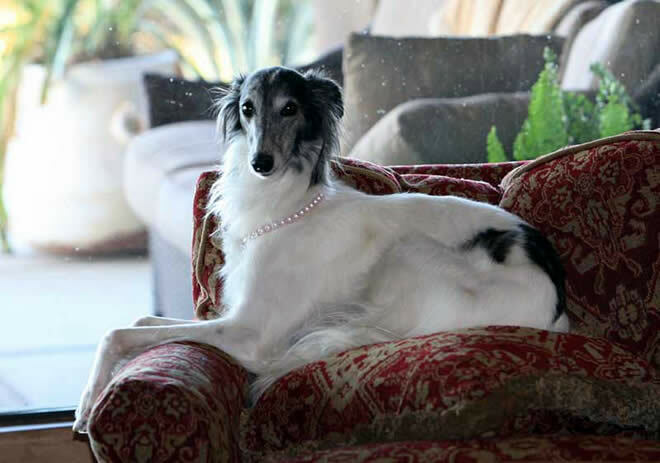 Chanel is owned and loved by Rick and Cindy Wolpin in San Jose, CA. 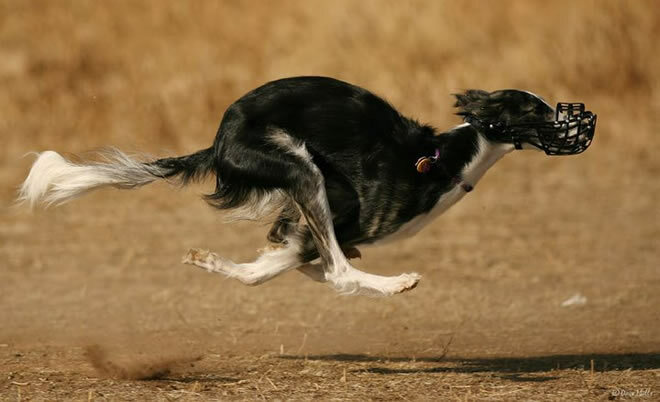 She is a gorgeous, elegant, sweet girl who loves to run. She is intelligent, opinionated and biddable, and she loves her human and Silken family. Chanel won Best Companion in Specialty Show at the Western Regional Specialty (Boofest) 2007. We co-own Violet with Faith and Bruce Hopperstad of Delta Windhounds in Lodi, CA. Violet is a sweet, lovely girl who loves everyone and giggles through life like her mommy Kyra. 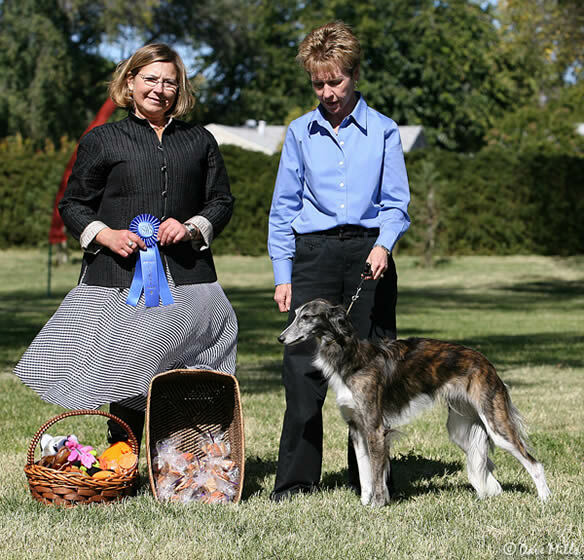 Violet was the first of the Silkens we bred to earn her conformation championship. 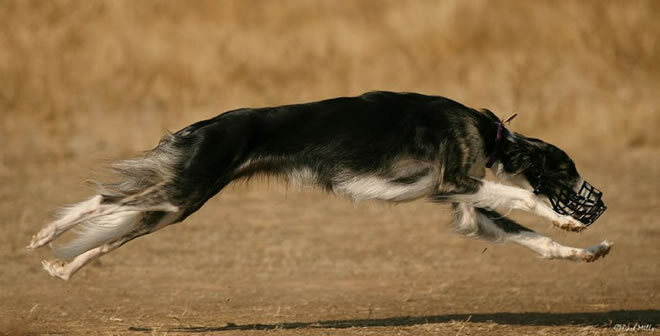 Violet is 'poetry in motion' when she runs and loves to chase a lure. 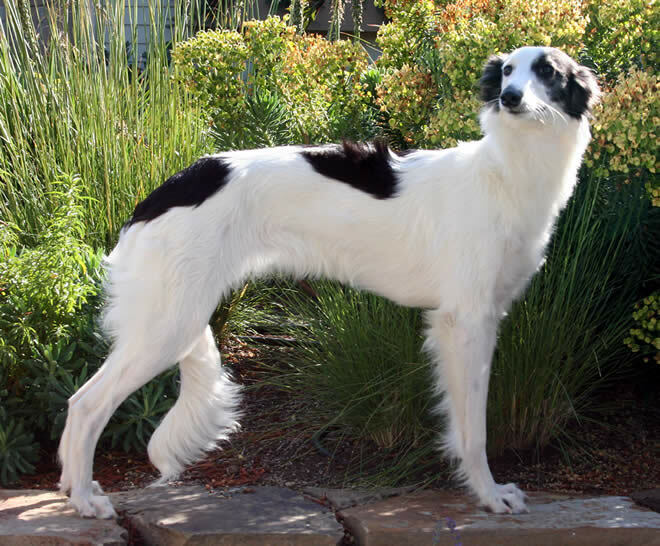 Reba is a biddable, loving girl who lives in San Francisco, CA, with Lynn DeMarco. She goes to work daily with her owner at Guide Dogs for the Blind and is learning agility. 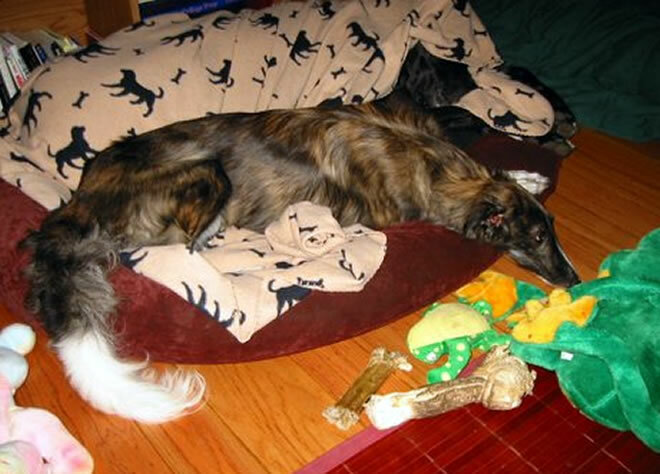 Here she is resting on her great dane friend Charlie with toys. Belle lives with her family, Deby and Ken Seaman, in Sacramento, CA. She is a giggly, affectionate girl who loves everyone and brings the 'party' with her wherever she goes. 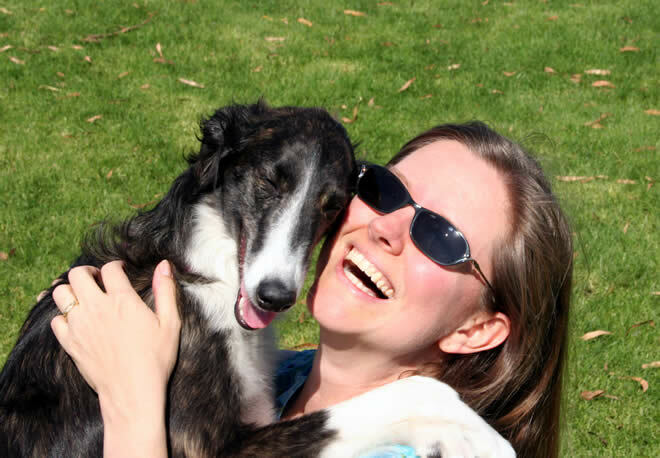 Tuscan, Kyra's first-born son, is a gentle, playful, sweet boy who lives with us here at Elessar Hounds. 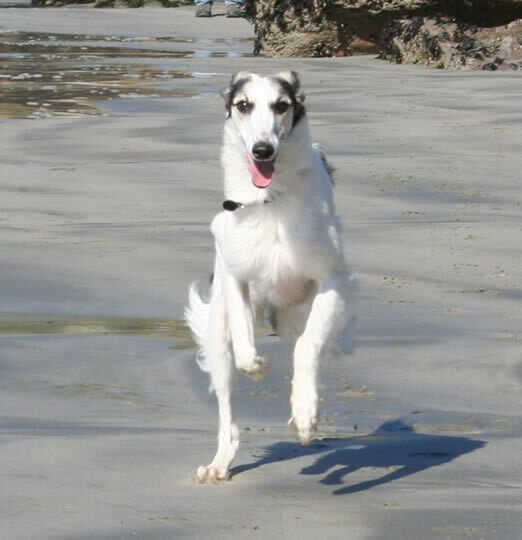 Tuscan is our 'zen' puppy who reminds us to enjoy the peaceful, joyful moments in daily life. Find out more about Tuscan. See pictures of puppies from week 8. Site Creation by LS Designs. Copyright © 2005-2007. All Rights Reserved.